"His knives may be soft, but he ll carve his way into your heart!" 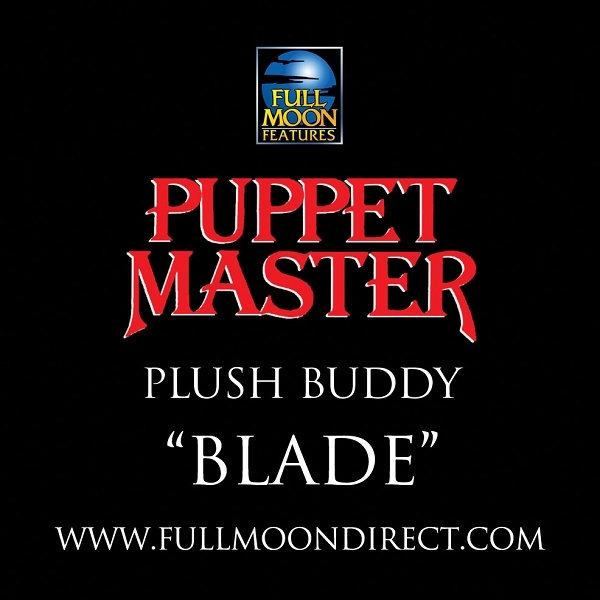 Standing at twelve inches tall and huggably soft, the Plush Buddy series begins with a horrifically cute re-imagining of Blade, the iconic puppet from Band s tent-pole franchise Puppet Master. 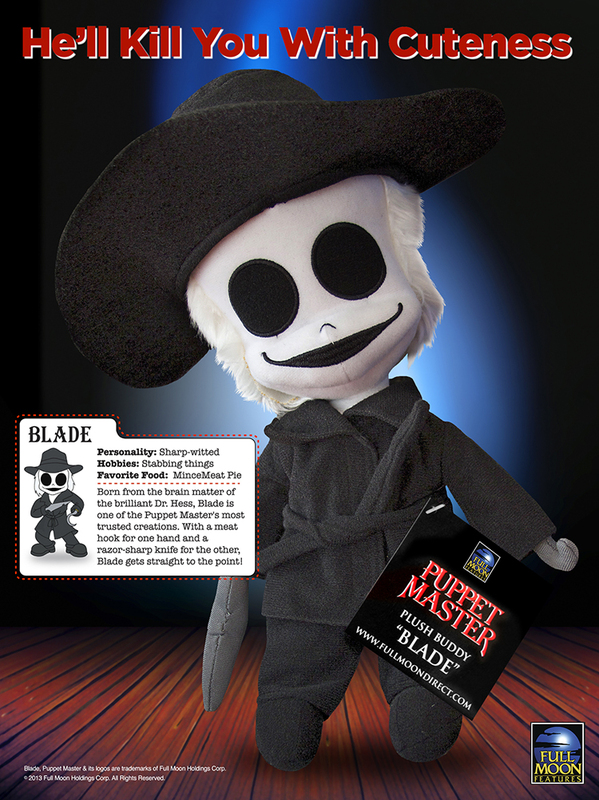 Plush Buddy Blade appeals to toy collectors of every age and gender, portraying a softer side of the classic character while tapping into the aesthetic sense of kawaii Japanese pop culture and the animated creations of Tim Burton. 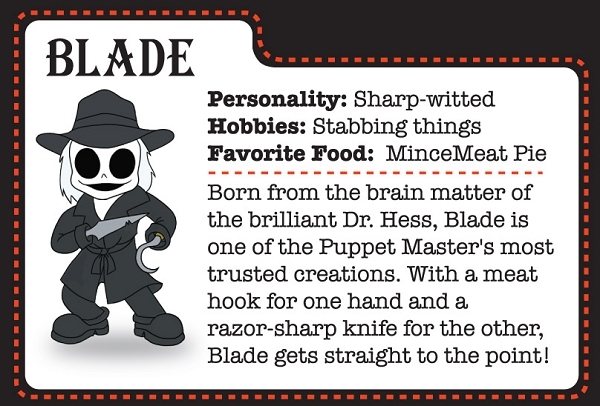 He comes with a collectible hang tag featuring character art and personality stats.